We host trainings and groups for up to 25 people. 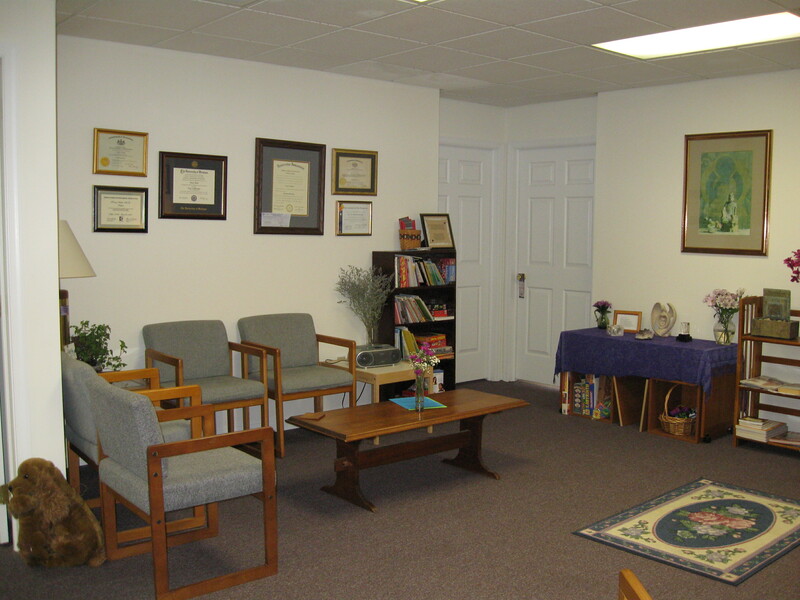 Our space is quite flexible, warm and inviting, and full of healing energy. Contact us regarding your event and maybe we can host it for you. Weeknights we can host events for up to four hours, for up to 15 people for a fee of $75. Weekends (Fridays, day or evening, through Sunday evening) we can host events for up to four hours, for up to 25 people for a fee of $75. Weekends (Fridays, day or evening, through Sunday evening) we can host events for up to eight to ten hours, for up to 25 people for a fee of $100/day. Monthly office rental: We also have an office available 4 days per week. You can rent this office one to four days per week each month or as needed. It is suitable for talk therapy, alternative healing or energy work. Contact Teresa for details. 215-672-6627. We also have up to 3 massage tables for an additional fee of $10/table/day.